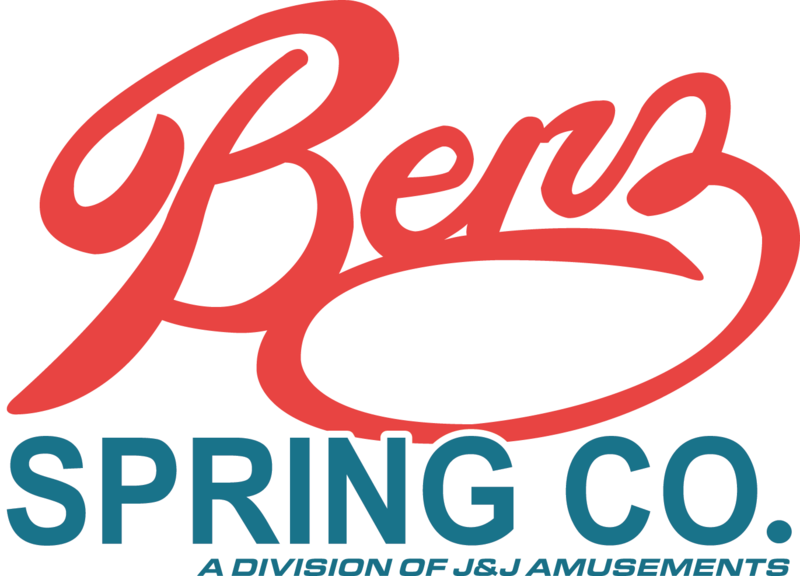 Benz Spring Company – Benz Spring Company manufactures leaf springs, custom springs, u-bolts, and many spring steel applications. We provide any or all parts for spring projects, from a comprehensive replacement kit to individual components, even individual leaves. Be sure to ask for all of the spring hardware you will need to complete your project. Study the diagrams for parts identification and correct terms. We manufacture springs for many different applications. Airplane Tugs, Trains, Forklifts, Go-Karts, Rock Shakers, Diving Board Platforms, Playground Equipment, Trucks, Buses, Agricultural Equipment and Dam Projects. Specializing in high volume production. We manufacture U-Bolts for Square, round and semi-round applications, forged and soft. A lot of our customers do not know how U-Bolts are measured. So many, in fact, that we have a 22% return rate on customer measured U-Bolts. This handy diagram helps. If we get the ABC’s, we have most of the information needed to get the right size for you, the first time. 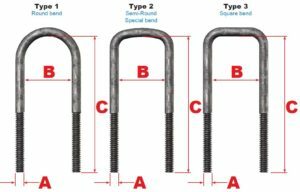 The diagrams and instructions below will help you accurately measure your U-Bolt.